So far I've made two layouts with my Studio Calico Cuppa kits, along with the Project Life spreads I shared here. These kits have the most gorgeous colors and I used my recent favorite combination - shades of oranges with greens/blues on these two! 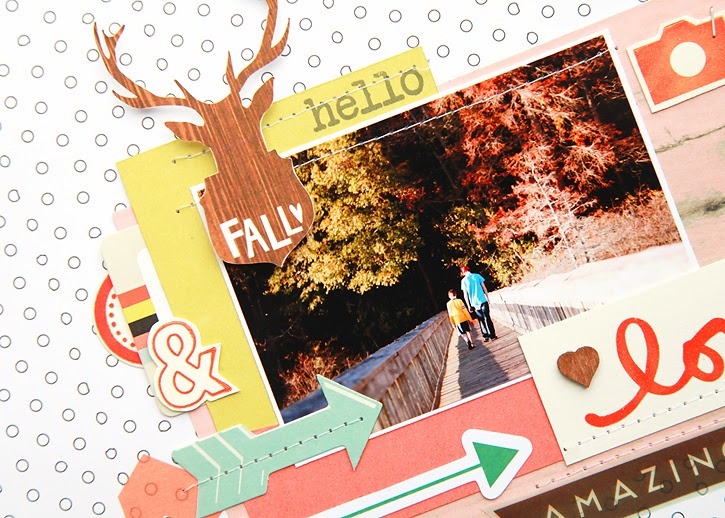 This layout started with the deer that was part of the printable digital files this month. I cut it out with my Silhouette, and I used a photo from a weekend trip to a state park that we take every fall. The journaling is hidden on the tag. I am loving adding letterpress elements to my layouts! The labels, ampersand, camera and "love" were all created with my letterpress plates. 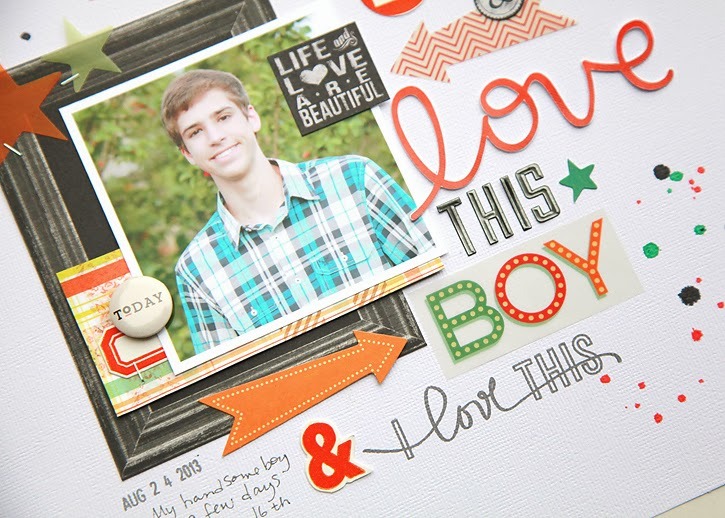 This next layout was created with a similar color palette with a photo of Mason that I took just before his 16th birthday. 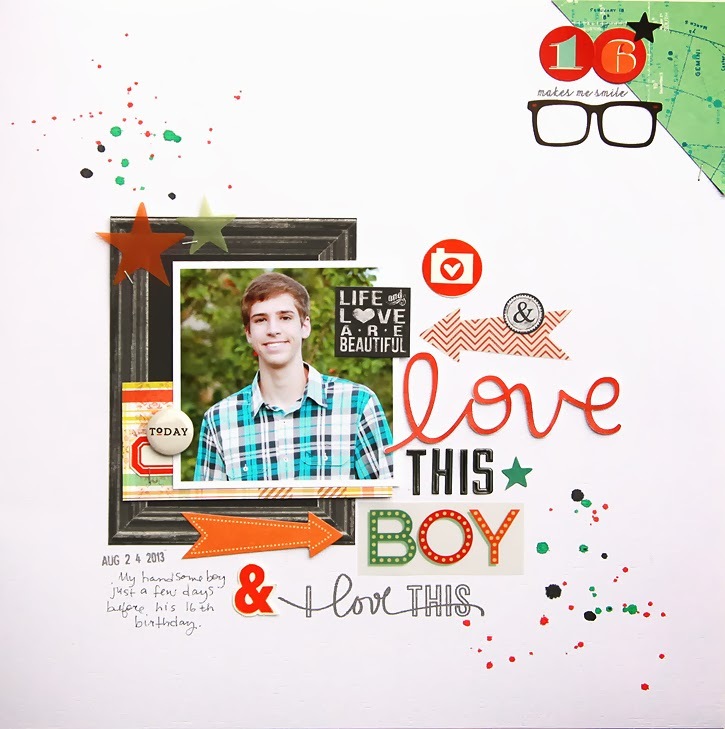 Most of what I used on this layout came from the Chai add on except for the chalkboard frame paper which was in the Cuppa main scrapbook kit. The "I Love This" stamp is in the main kit, and was designed by one of my favorite digital designers, Peppermint Granberg. So happy to get some of her designs in this month's kits!